Picture from Child Training Bible. 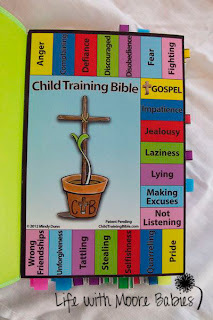 A while back I pinned something on Pinterest about the Child Training Bible. 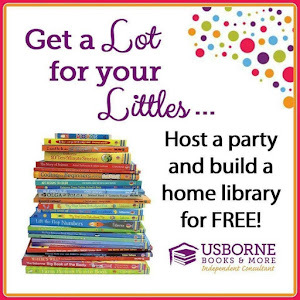 I thought at the time I could do something similar for my kids...one day. Like so many other big projects (and this one would have been BIG) it would have never been done. When I had the opportunity to review it; I jumped on it! 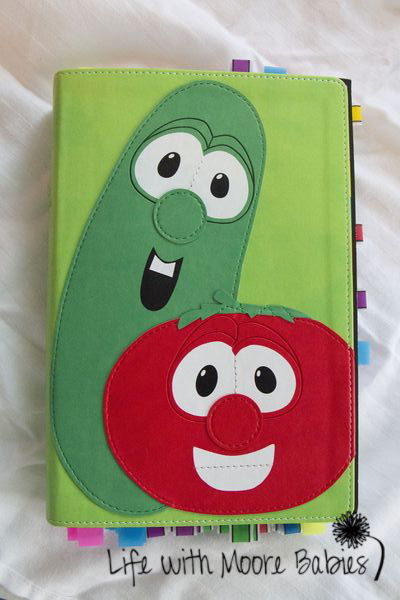 Basically it is a set of high quality sheets that include scripture references to go with several sinful behaviors children (and adults) deal with. 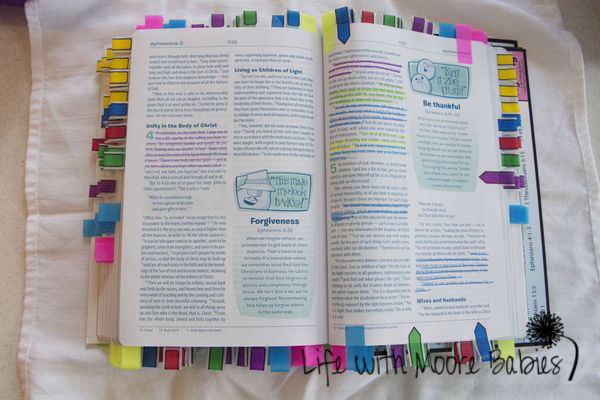 You provide the Bible, highlighters, and flags for the pages. And of course the time to put it all together! Here is what ours looked like when it was done. 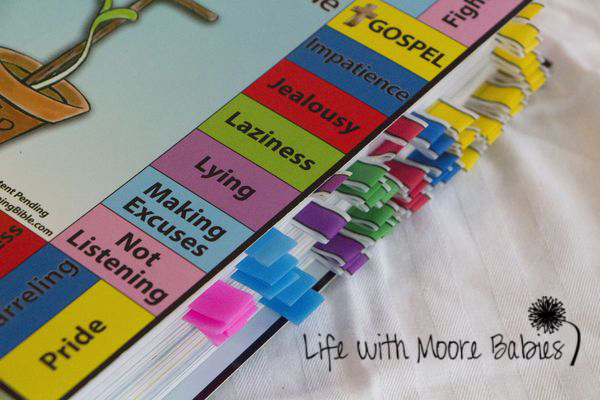 Inside the front cover is the main sheet where you can choose which behavior to address. You simply follow the color coded tabs to find the pages with verses addressing the behavior. 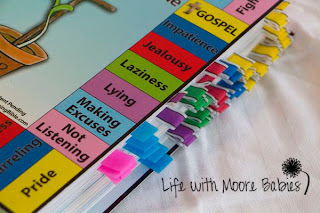 Then you can easily find the appropriate verse by matching the color of the tab to the color of the highlighted verse. Genius! 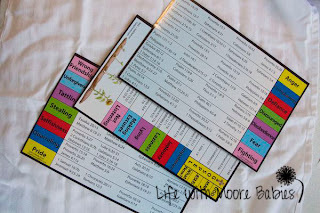 The three pages you use to place the tabs on your Bible are stored in the back of the Bible for reference. Not only do they have all the verses for a given behavior, but on the back they have questions for your child to consider about the behavior. Luckily we have only had to use it a few times since we got it all put together, but the girls sat there and listened as we read the verses. They also were willing to answer the questions I asked regarding them, and we talked about how we should act instead. Not only does this show the child how God feels about specific actions, but it also shows that we submit to God's authority. That is definitely a lesson I want my kids to learn! This is a great way to teach appropriate behavior while helping little ones learn more of God's Word. As much as I hate to admit it, it is a good reference for adults too. If we are honest with ourselves, we deal with many of these same actions. While putting it together, I would occasionally read a verse and realize it was something I was currently dealing with! With so much interest I have decided to donate a second Child Training Bible set for someone to win! 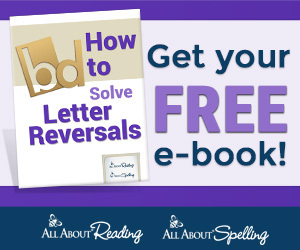 Now you have 2 chances to win! 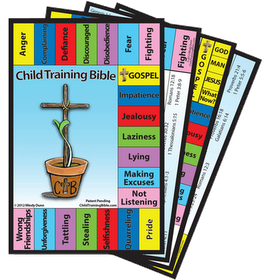 If you don't want to wait for the contest to end please visit Child Training Bible to order your set for just $9! I hope you all get a set for your family, even if you don't win!